The Georgie Awards® have a structured and professionally adjudicated judging process. The judging panel comprises industry professionals from outside of B.C. They are selected based on their specific area of expertise. Every year, the Georgie Awards® seeks judges who excel in their field. Potential judges are selected by their respective Home Builder Associations in Canada and the United States. 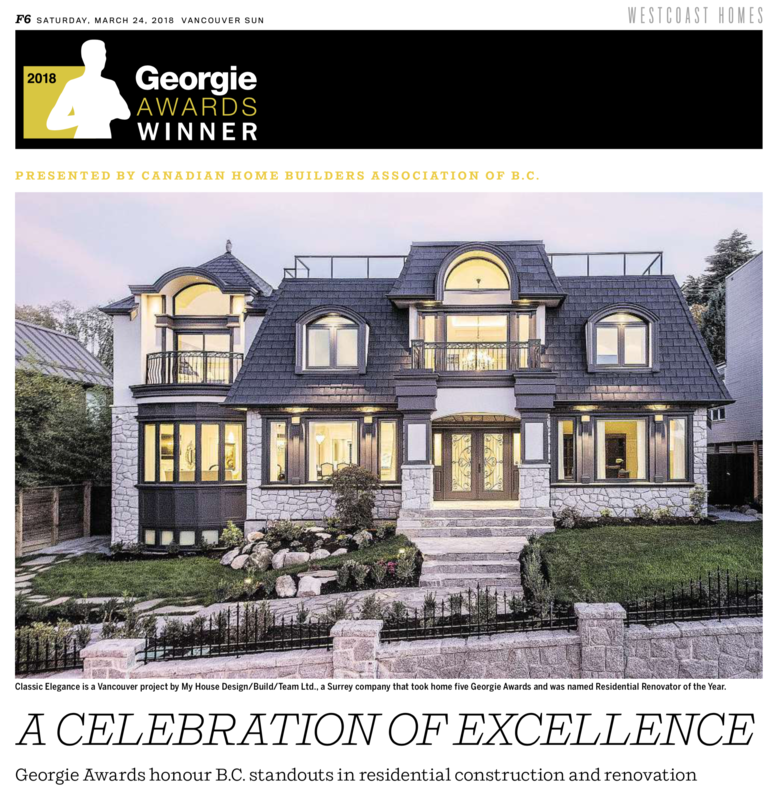 Resumes and biographies are submitted to the Georgie Awards® and are reviewed to ensure judges match the high level of expertise required to adjudicate the entries. Over a three-day span, judges from across Canada and the United States gather in Vancouver to judge the submissions. Judges are given a brief overview of the BC housing market by economists from the BC Real Estate Association followed by rigorous hours of judging the entries. Results are audited by Wolrige Mahon Chartered Accountants, one of whom is present during the three-day judging process. In the end, up to five finalists are selected for each category and one of those finalists is deemed the Georgie Awards® winner.